The Other RNAs AP Biology Fall 2010. 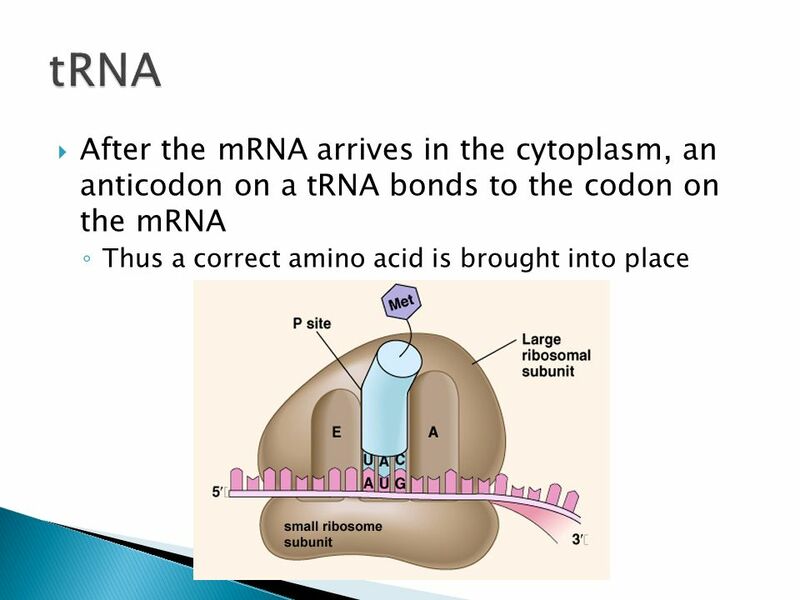 Each kind of tRNA has an anticodon that is complementary to an mRNA codon Each tRNA also carries one specific amino. 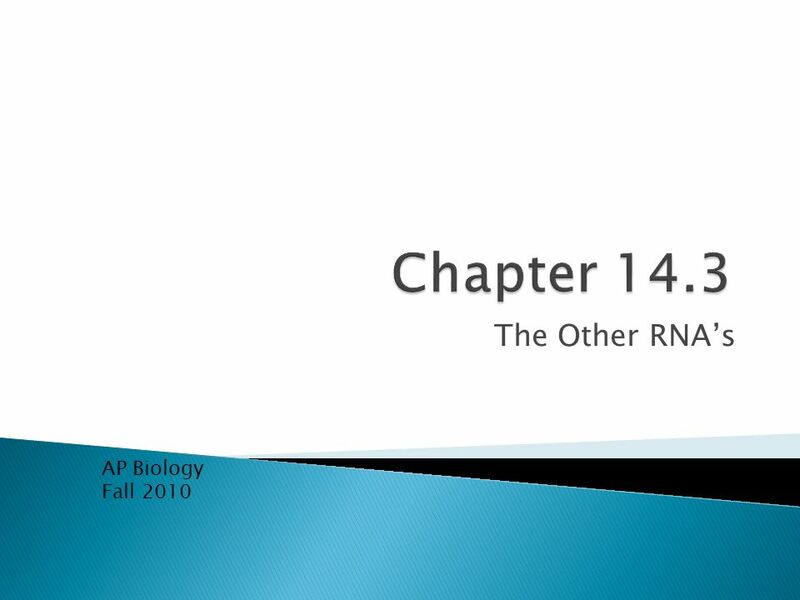 Download ppt "The Other RNAs AP Biology Fall 2010. 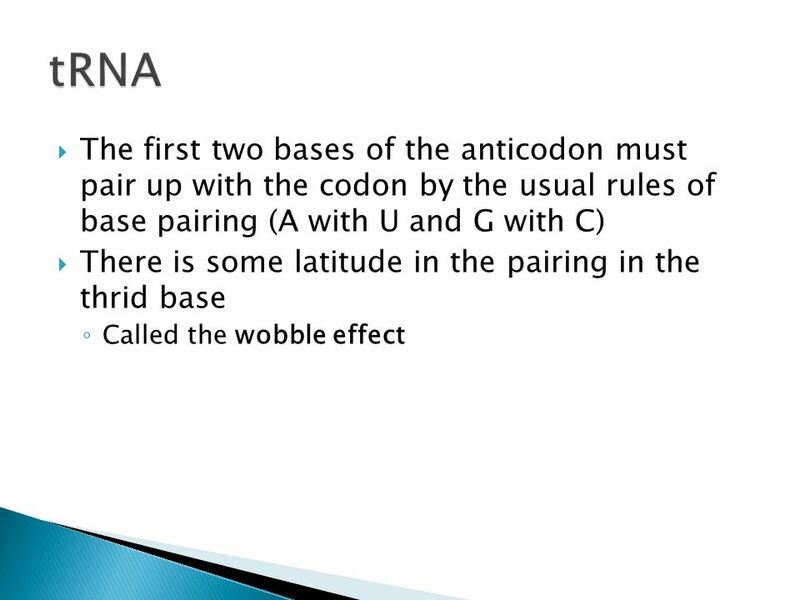 Each kind of tRNA has an anticodon that is complementary to an mRNA codon Each tRNA also carries one specific amino." Review: The flow of genetic information in the cell is DNA  RNA  protein  The sequence of codons in DNA spells out the primary structure of a polypeptide. Protein Synthesis Ordinary Level. Lesson Objectives At the end of this lesson you should be able to 1.Outline the steps in protein synthesis 2.Understand. 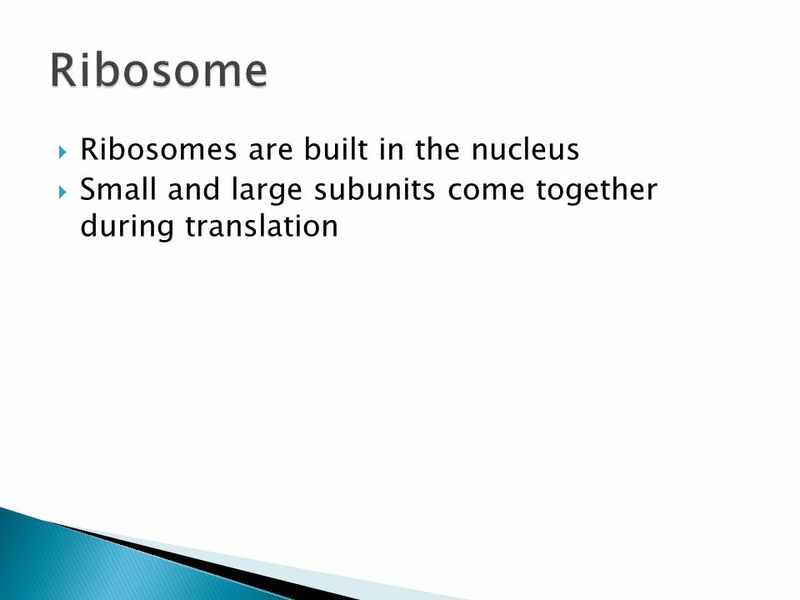 Ribosome Structure 1. 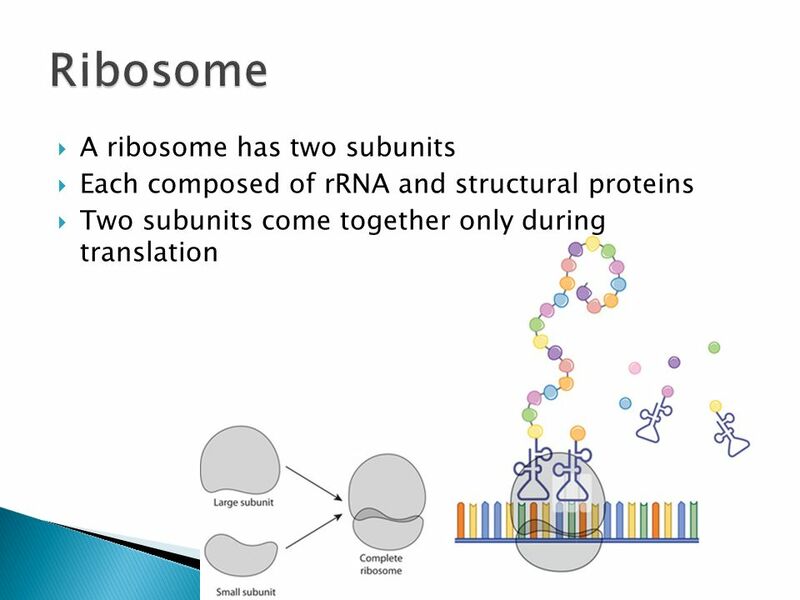 Outline the structure of a ribosome based on the diagram: ● A site. 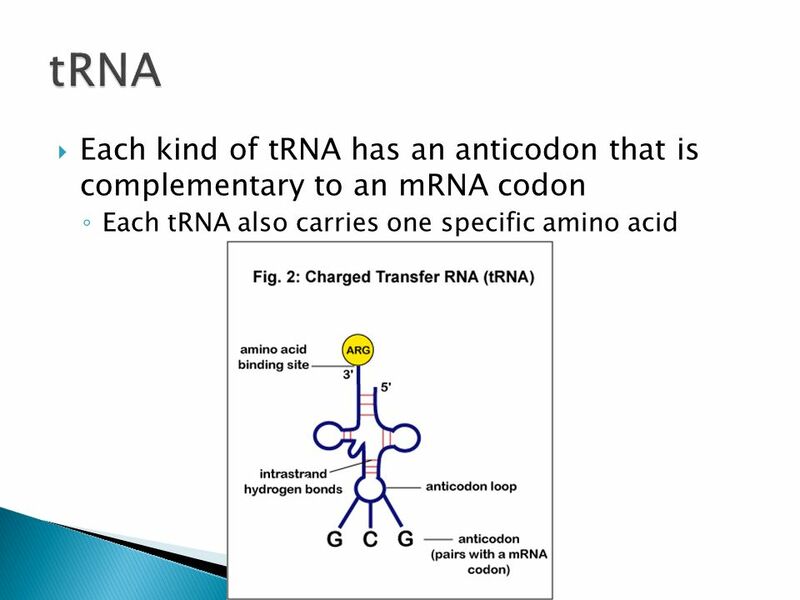  Type of RNA that functions as an interpreter in translation  Each tRNA molecule has a specific anticodon and a site of attachment for an amino acid. 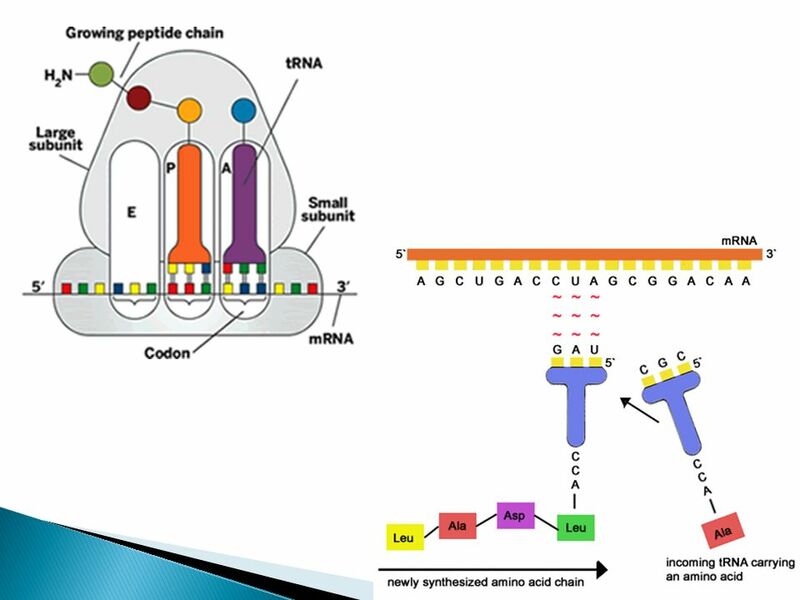 Translation (Protein Synthesis) RNA  protein. Making a protein Many RNAs needed –mRNA, tRNA, rRNA. Traits, such as eye color, are determined By proteins that are built according to The instructions specified in the DNA.  Made up of amino acids  DNA codes for RNA which makes proteins. DNA StructureDNA Structure  DNA is composed of a chain of nucleotides. T RANSLATION Using RNA to make Protein. W HAT DOES IT MEAN TO T RANSLATE ? Definition in English: to turn from one language into another; to change form. Protein Synthesis Foldable AHSGE STD 8.. Outside.